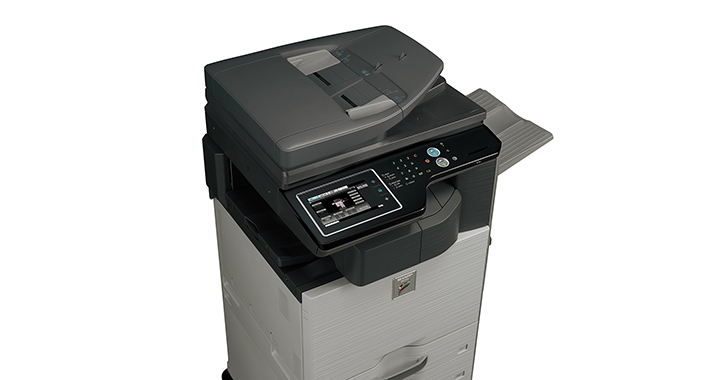 The Sharp MX-2615N Multifunction Color Copier is a Full-Color Workgroup Document System that offers a fast printing speed of 26 pages per minute. 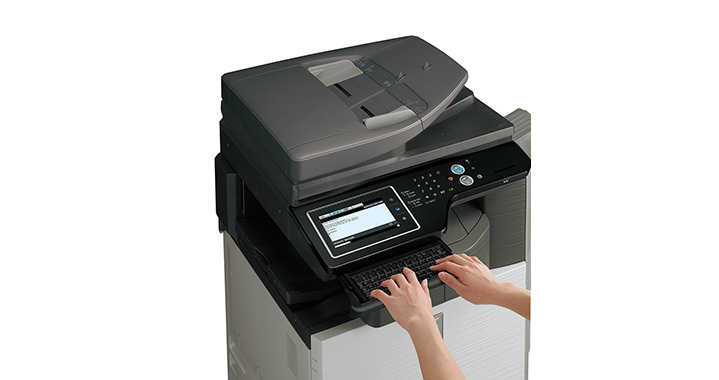 It’s base model include standard copying and printing, standard PCL 6 network printing, color network scanning, and document filing system. 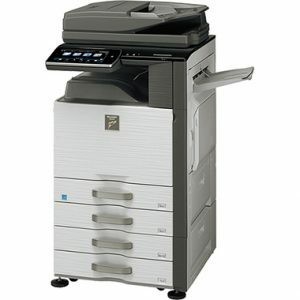 Includes 100-sheet RSPF, Auto-Duplexing capability, 1 x 500-sheet paper drawer and 100-sheet bypass tray. Black and color developer is included in the box. 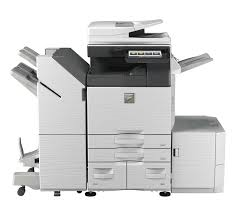 Exposure Modes: Modes: Automatic Text, Text/Photo, Text/Printed-Photo, Printed-Photo, Photo, Map, Light Original, Pale-Color document. Settings: auto or 9 step manual. Operating Systems: Windows Server 2003-2008, Windows 2000/XP, Windows Vista, Windows 7, MAC OS 9-9.2.2, MAC OSX 10.2.8, 10.3.9, 10.4.11, 10.5-10.5.8, 10.6-10.6.5, 10.7-10.7.4 Novell® Netware® 3x, 4x, 5x, Sun® OS 4.1x, Solaris® 2x, Unix®, Linux® and Citrix® (Metaframe, Presentation Server 4, 4.5) and Windows Terminal Services. Paper Type: Standard paper trays: 16 lb. bond to 110 lb. 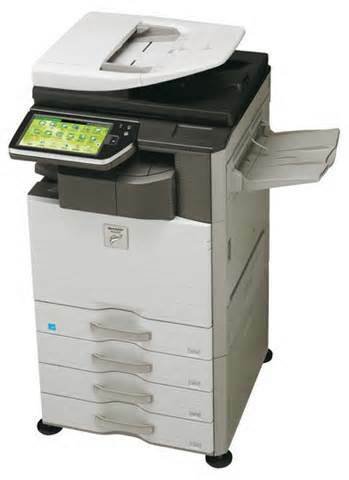 index; includes plain paper, heavy paper, recycled, pre-printed, pre-punched colored, and letterhead. Optional paper trays: 16 lb. bond to 170 lb. 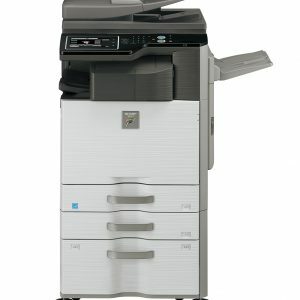 index, supports same as standard trays, also supports thin paper, transparency, tab and label paper through bypass tray. 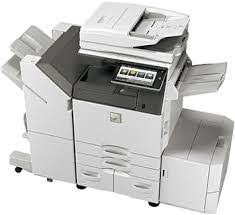 Fax Features: Quick on-line transmission, direct transmission, F-Code transmission/reception, rotate transmission, in-bound fax routing, anti-junk fax reception, automatically staple received faxes, secure fax release, out of paper memory reception, auto redial, 2-in-1 reception, duplex reception transaction reports, activity reports and PC fax.